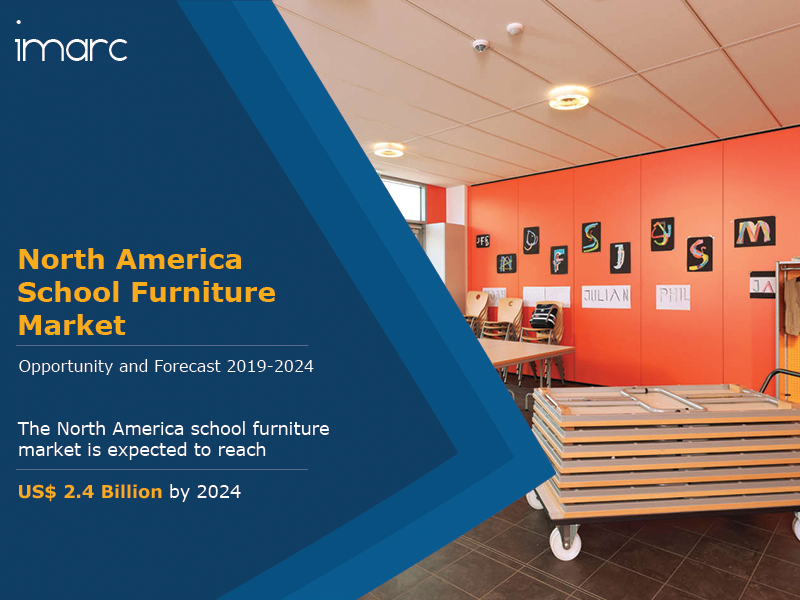 The North America school furniture market reached a value of US$ 1.7 Billion in 2018. School furniture has played a pivotal role in transforming classrooms from static physical spaces into a dynamic learning environment. It is designed in a way which is not only considered effective for human use but also beneficial for physical health. School furniture is generally made from materials such as wood, plastic or metal, which make it comfortable for school children by allowing them to work with their full potential and concentration. With the growing advancement of the education sector in North America, the traditional school furniture is being replaced by more innovative and aesthetically appealing furniture. Nowadays, the new dynamic teaching styles such as blended learning and flipped classrooms require adjustable and portable furniture that can be reconfigured easily. Due to this, there is an increase in the ergonomic designs, improved aesthetics, and stackability of school furniture. Moreover, educational institutions worldwide are acknowledging the importance of ergonomic while making purchase decisions for classroom furniture. They are focusing on adopting flexible furniture according to the age and height of students. For instance, vendors are offering chairs that can be adjusted by users and desks with sloping work surfaces. Looking forward, the market value is further expected to reach US$ 2.4 Billion by 2024, exhibiting a CAGR of around 6% during 2019-2024. Amongst these, desks and chairs represent the biggest segment, accounting for the largest market share. How has the North America school furniture market performed so far and how will it perform in the coming years? What is the breakup of North America school furniture market based on the product type? What is the breakup of North America school furniture market based on the material? What is the breakup of North America school furniture market based on the distribution channel? What is the regional breakup of the North America school furniture market? What are the various stages in the value chain of the North America school furniture market? What are the key driving factors and challenges in the North America school furniture market? What is the structure of the North America school furniture market and who are the key players? What is the degree of competition in the North America school furniture market?